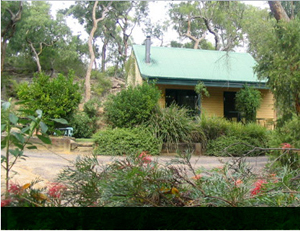 Kurrajong Trails and Cottages is set on 100 acres in the rugged Hawkesbury sandstone ridges in the Kurrajong area. 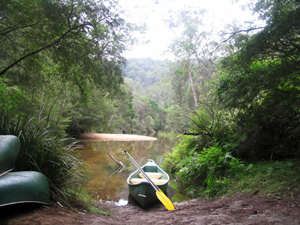 The main house and cottages overlook Wheeny Creek, which stretches from Kurrajong Heights to the Colo River, winding its way through some majestic wetlands. The Wheeny Creek area was originally settled by ‘Ticket of Leave’ convicts who were provided with 40 acre starvation blocks. The convicts’ descendents lasted until the beginning of the 20th Century when flooding and a meagre existence from farming and cattle raising forced them from the valley. Some of their descendents still come to our property to fish and camp. The property is set inside the Wollemi National Park, the home of the ancient Wollemi Pine, whose whereabouts are secret. Located 23 kilometres northeast of Windsor and approximately 1.5 hours from the centre of the city.